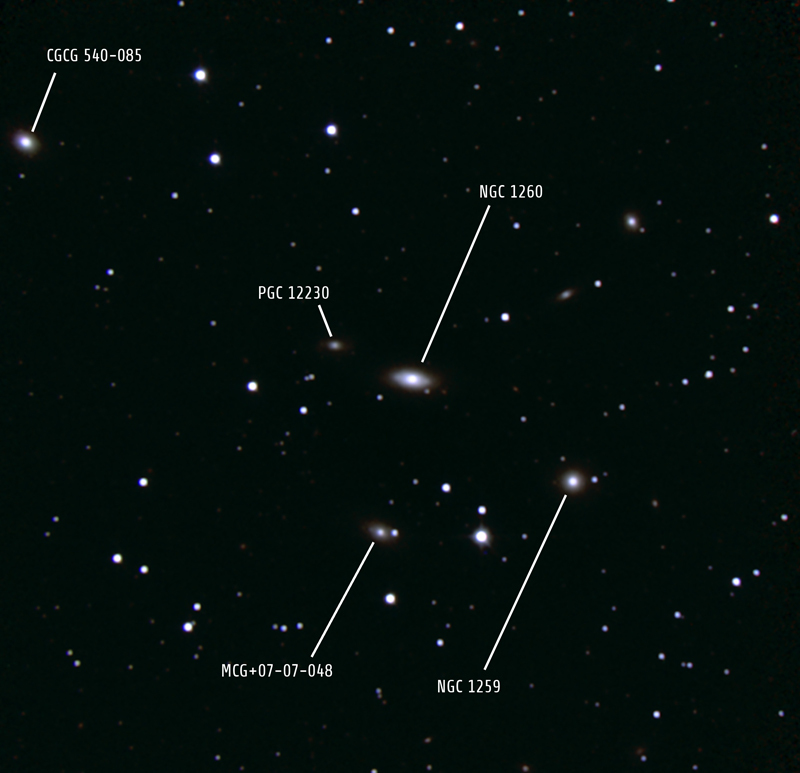 SN 2006gy is the brightest stellar explosion ever recorded and may be a long-sought new type of supernova, according to observations by NASA's Chandra X-ray Observatory and ground-based optical telescopes. 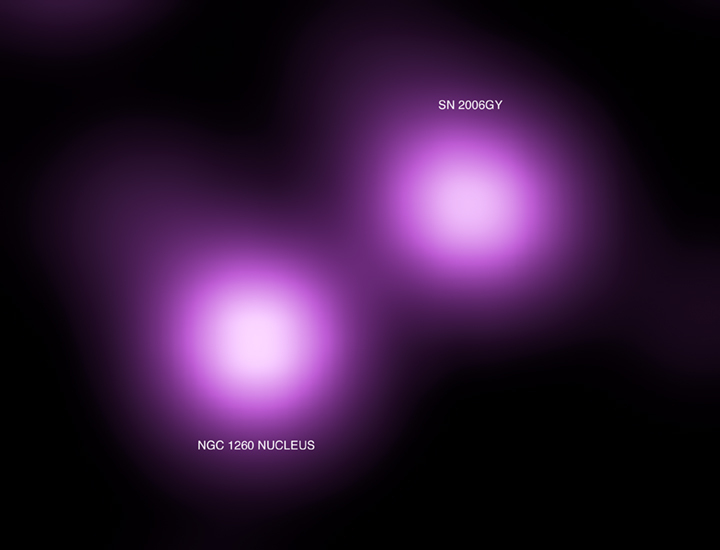 This discovery indicates that violent explosions of extremely massive stars were relatively common in the early universe. 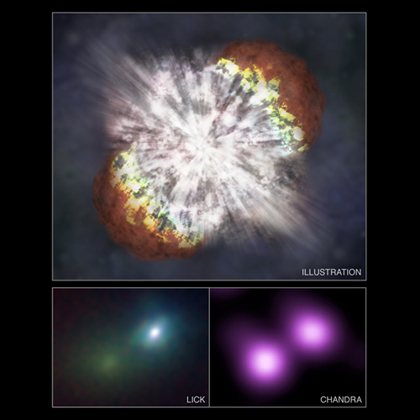 These data also suggest that a similar explosion may be ready to go off in our own Galaxy.